If only we could prepare the perfect, nutritious lunchbox with the wave of a magic wand. 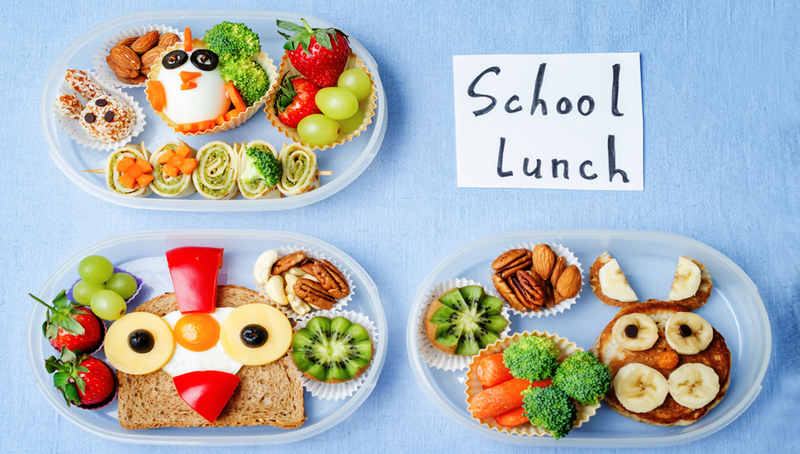 How much easier would it make getting the kids dressed, out the door and at the school gates on time if your lunchbox routine was sorted and you weren’t peering in the pantry and fridge frantically trying to assemble something both nutritionally varied and appealing to eat? These tips and tricks might help to simplify your morning routine. Kids need a wide variety of important nutrients to get through the busy school day. Having a basic go-to checklist of what foods to pack allows you to include all of the key nutrients with barely a moment’s thought. On your list should be: wholegrain breads, wraps and/or cereals; protein, such as boiled eggs, cheese, yoghurt, lean meats, tinned tuna or hummus; vegetables (think raw veggie sticks and salad sandwiches); a piece of fruit; and water. Often kids choose the busy moments in the morning rush to ask you to play with them. 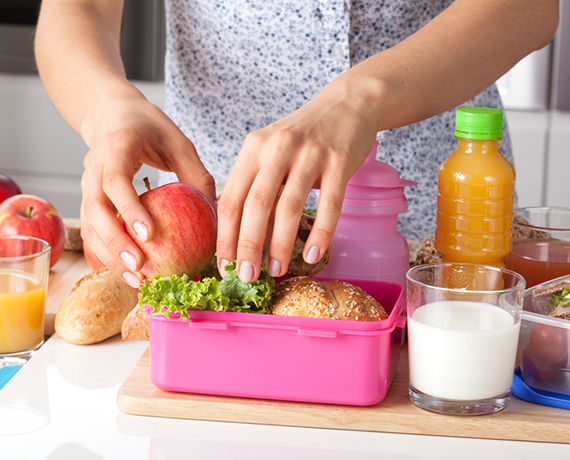 Try making lunchbox prep a game, involving your kids in the fun and allowing them to choose their own fruits, vegetables and sandwich fillings. If they’re old enough, let them make their own sandwich (with supervision, of course); younger kids can put vegetable sticks in sealable bags, and pack items into their lunchbox. It’s a good pre-school interaction for you all, and they’re learning some new skills at the same time. Fresh fruit and veggie sticks are a nutritious and convenient lunchbox addition that kids love. Choosing varieties that are in season and grown locally will always pack a nutritious punch. They’re cheaper, too, compared with imported varieties and many processed snacks. Most kids love having something sweet in their lunchbox. By making your own lunchbox-friendly treats – think mini muffins, pikelets and muesli bars – and freezing them in individual portions, you’ll not only have yummy and satisfying lunchbox snacks, but you can also control portion sizes, choose nutritious ingredients and avoid too many preservatives.